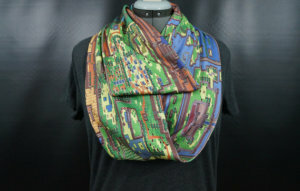 Etsy user NerdAlertCreations has designed a unique and fun scarf, illustrating the map of Link’s Awakening. This awesome design comes in two styles and is available for purchase as well as international orders. This item is set at the price of 50.31 AUD (40.18 USD) and is made out of a soft, cotton knit. Hit the jump to take a look! This scarf is available in both the infinity-style and the non-infinity style (34 inches and 68 inches long, respectively). All of the fabrics and the map design are custom-made by the creator, and a purchase includes washing instructions to ensure the preservation of quality for as long as possible. You can check out this cool scarf here (follow the instructions if you are interested in purchasing). You can also check out NerdAlertCreations for other awesome products including film, gaming, and literature. What do you think of this scarf? 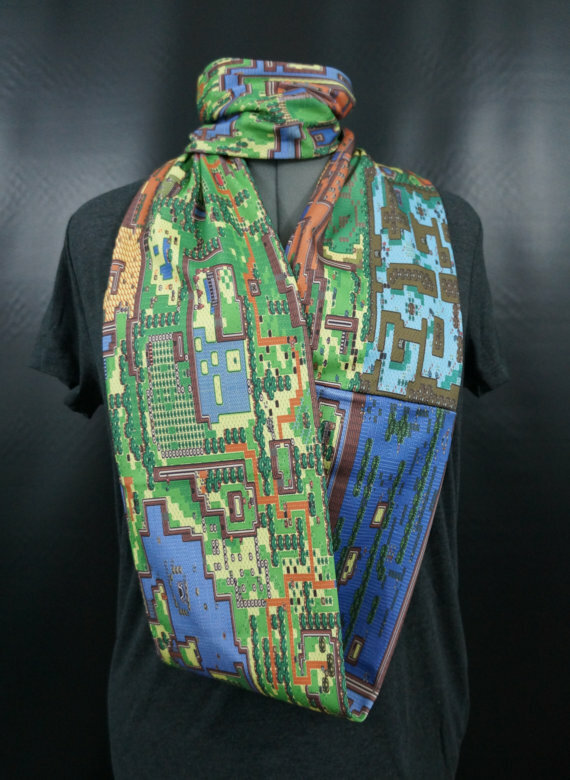 Do you own any Zelda clothing worth mentioning? Let us know in the comments below!